← Crazy, Undercover Love – publication day! I have to admit that when other writers have told me that they’ve been to a retreat I’ve been sceptical about the amount of work they’d accomplish. I could believe a retreat to be enjoyable – getting away from the shopping and cooking, spending time with writers, wine, food, lovely environment etc etc. 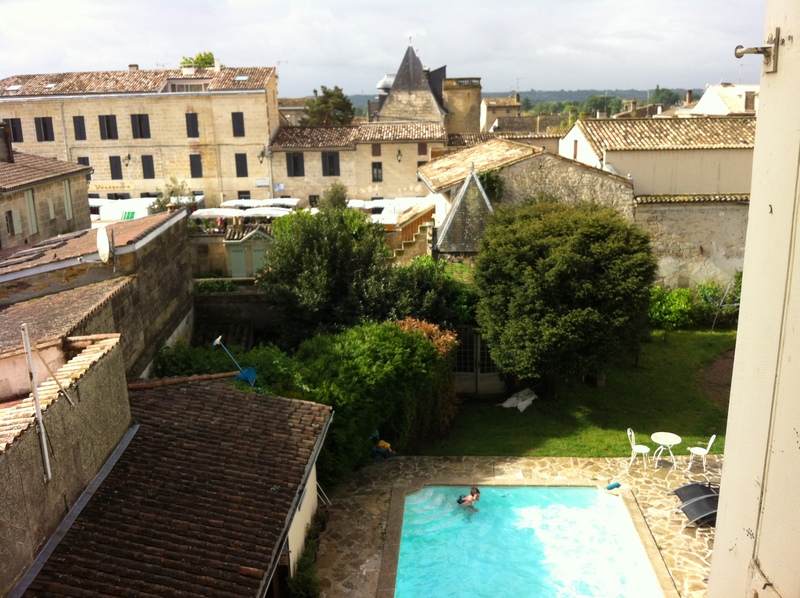 The back of the house, Chez Castillon. My room was up on the top floor. My lovely room contained table and chairs (along with necessities such as the bed) and I set myself up to work. OK, that’s a fib. I went across to Monique’s bar and had a couple of glasses of cold vin blanc, then came back for a fab and convivial evening with the other writers on the retreat, talking about our work. Also eating a lovely dinner and drinking a leetle more wine. In the morning, after blissful breakfast of local cheeses, meats and fruits, I began writing by hand – something I often do in the planning stage – working on character bios, seeing where further characters were needed, working on conflicts and the threads they’d create, deciding how one conflict would impact upon another, making lists of things to research. The piles of paper grew. I took some outside into the fantastic garden to enjoy a bit of sun. Borrowed a stapler so I could bring my work home again in some semblance of order. The three piles I ended up with are: characters; research; story. I can’t say when I’ve had a more productive week. It has been amazing. I would do it again – and again and again! Everything and everyone on the retreat was fantastic. Sounds wonderfully productive amid such beautiful surroundings. Also gives us a glimpse into how you work. Thanks for posting. Welcome, Anne. Each book’s a little different. I may have been more organised because I was so focused. It all sounds perfect Sue. I think I’d have to be extra disciplined and unplug from the internet until evening. So glad that you got so much done. Sounds great, Sue. Well done for being so disciplined! 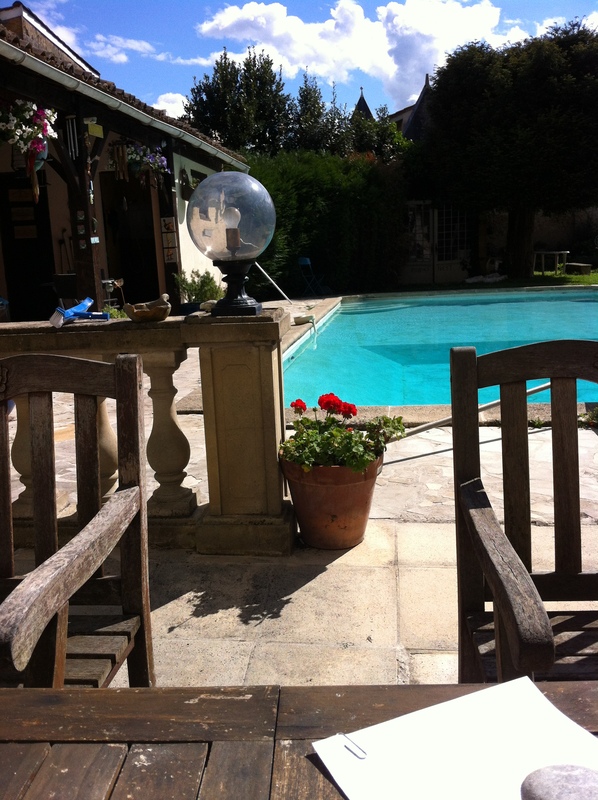 I’ve always fancied doing a retreat, I think you need to know exactly what you want to write and achieve beforehand though, otherwise you could be quite aimless in such fabulous surroundings. Were there no other writers? No networking at all? What a wonderful few days you’ve had. And I’m so impressed at how productive you were. It’s a very inspiring place and with such fabulous hosts. I’m off there for a third visit very soon. As Sue says, part of it is not just the peace to work and the freedom from domestic clutter, it’s also about being able to bounce ideas around with other retreaters. 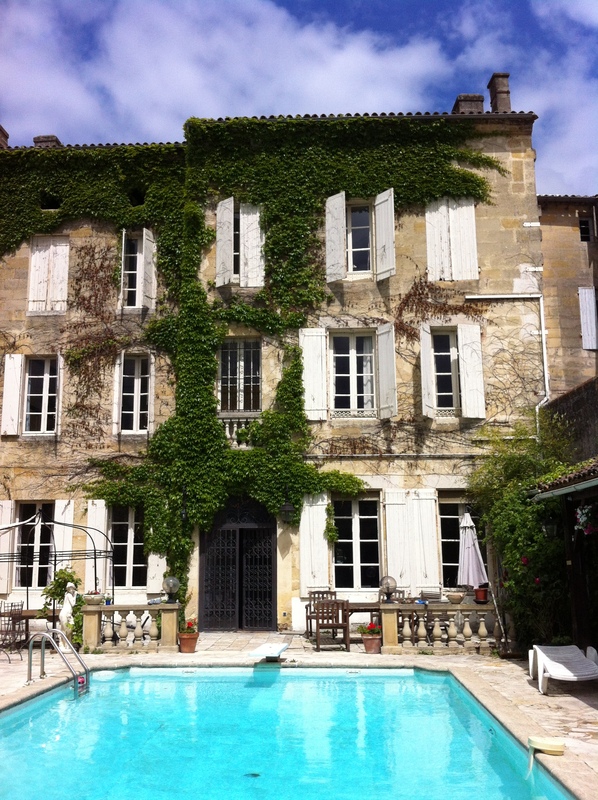 I was at Chez Castillon a couple of weeks before you and had one of the most productive weeks of my writing life. Also fabulous food, company and surroundings. Bliss. 🙂 It really is blissful. And the local people are so friendly. Some friends and I organised a writing retreat weekend and all four of us got loads done. Surprised ourselves … and best of all we talked writing and share our plots, conflicts, problems. It was great fun as well as being really productive … although I have to ask, did you get any sleep. That sounds amazingly productive!